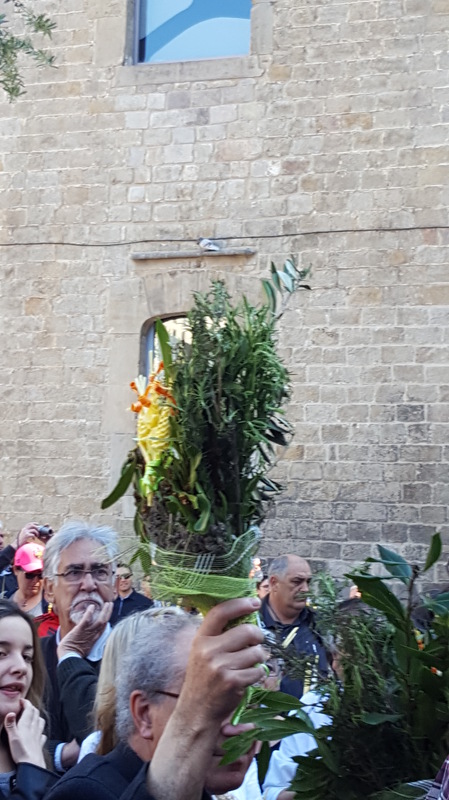 Ornate woven palm creations and bunches of leaves are carried on Palm Sunday. 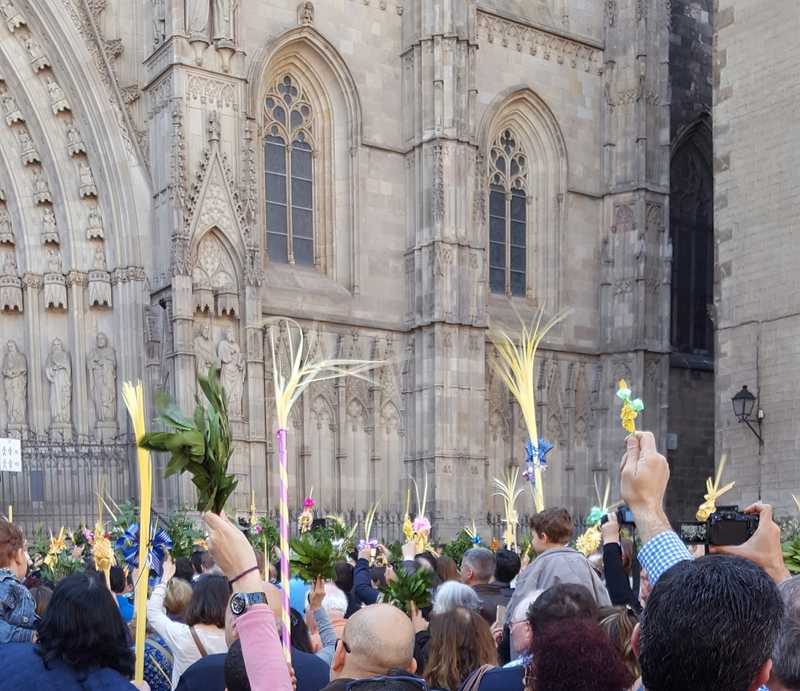 During the blessing on the steps of the Cathedral, the palms and leaves are raised into the air and shaken. The archbishop presided and a choir sang. 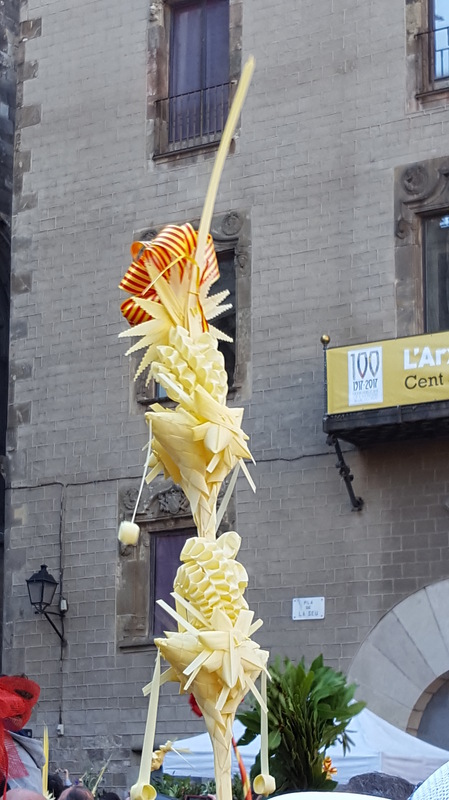 I like Holy week in Spain and have travelled a couple of times to see Semana Santa in the town of Siguenza in Castilla-la Mancha. I didn’t even take Easter into consideration when making my travel plans. I might have revised them. 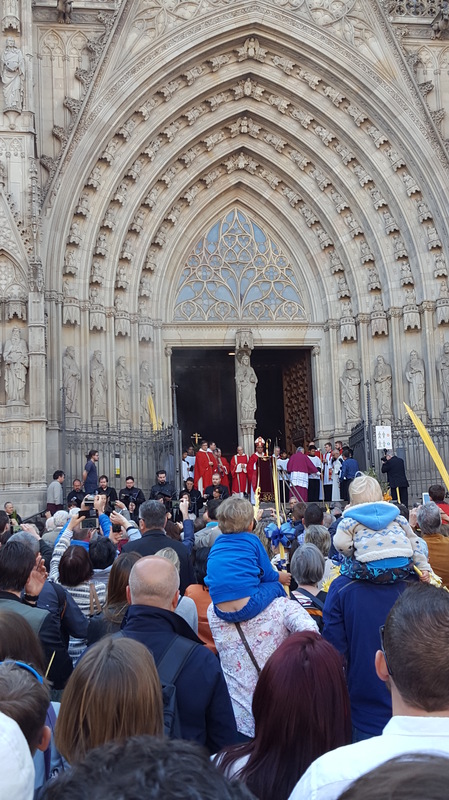 Semana Santa celebrations begin on Sunday if you are still in Spain. I meant last Sunday of course, I forgot Easter is this week!